A call for trade that protects the new generations coming to this beautiful planet. The text of the Transpacific Partnership (TPP) was finalized behind closed doors in Atlanta last week, and millions grieved. The CETA half of the TTIP was completed in September 2014 to upset thousands upon thousands. Neither have been ratified, and the number of people knowing about the new trade, that isn’t actually trade, is growing on the daily. By cutting off pharmaceuticals for cancer patients, multi-lateral corporate trade pacts have acquired a new following. By threatening freedom of online speech, internet users are uniting to speak out against the TPP. By restricting sovereign agriculture, like Japan’s rice farmers, and proud manufacturers, like Canadian autoworkers, regular people are not buying so-called trade. Farmers on their tractors took to Canada’s capital in September 2015, and thousands of Japanese citizens, for whom protest has little precedence, have flowed through Tokyo’s streets. Yesterday, over 250 000 people chose raising their voices in Berlin over all other options. These diverse groups appearing on the world stage are an expression of knowledge and their act is one of determination. So the good news is that many people are talking now, and when the numbers rise reach critical mass, there is power. As in all civil rights movements, knowledge takes time to spread; the difference now is that we have the internet. Take heart in every connection. And know this TPP, or TTIP, or CETA, or any other multi letter delusion of law and politic: our response is to speak with more passion, to drive our lives with more inter-being, greater depth of purpose, and make all forms of ISDS our business to tell. Don’t take it personally, it’s not about you. It’s about caring for the security of new generations coming to this beautiful planet. And it is only a matter of time until the shift. What is unknown is how much time you will take. In these years of global redirect for fair economy, full democracy, stable climate, how much energy will you require? Our resistance is expanding. 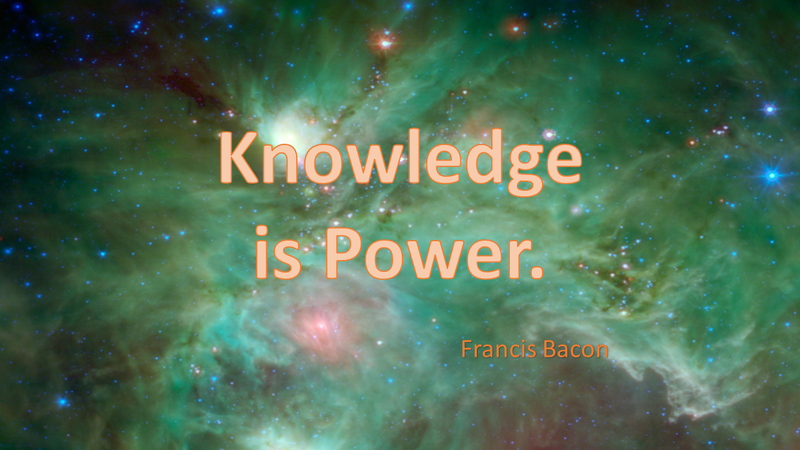 Our power is in knowing. Once people know, they do not like the new trade. Word by word, we are taking our power back. Tags: CETA, ISDS, TPP, Trade Justice Movement, TTIP | Permalink. Who will control our power in this crucial decade? With the race for climate security on, energy is risky (and expensive) business to be run by corporations. We know there has been irreversible damage to the atmosphere, land and waters. We feel shame and we want change. More serious than the carbon impact of one company, the risks of regional management by a fossil fuel cartel are many. A sustainable energy future requires public control. What will it take for the government of Canada to follow the people’s will? The Great Turning We live in a time of contrast that raises hope and fear. We put our heads in the sand or open our minds to the question – how can I serve? For me the pressure brings both responses: hope inspired by creative localization, and fear and grief from the dismantling of the commons by private interests. David Korten, and other progressives, call this time of tumultuous change: the Great Turning. Trade and investment pacts are mechanisms of the power crisis because they are the long-term platform for the extraction-privatization of nations. With the new deals, city assets and municipal energy bodies are being traded on the free market. In Ontario where I live provincial and municipal energy service is in the process of being privatized. Selling this people’s asset without permission, and hiring private corporations to run it into perpetuity, is a deal breaker for me. In these energy shaky times, I want the next generation to inherit a public system. This knowing is resultant from more than my Tar Sands shame. Privatizing the energy of Canada’s most populous province risks essential stuff, like affordable rates and service quality. In this blog I explore why energy sectors should not privatize, and if they do, never through trade. I also ask questions about the plans to deregulate Ontario energy. Extreme Risks What does it mean to have corporations be in charge of energy? Very few of us can survive off the grid – the majority rely on public energy. All day long we employ energy sources in service of our eating, bathing, working, learning. Nearly all our activities are beholden to shared power. Just like water, energy is essential and the quality of our lives depends on its availability. Many problems can arise when energy becomes managed by for-profit interests. With privatization (or p3ing) we frequently see: decreased access, service limitations, job cuts, rate increases, and environmental risks. California saw rolling blackouts when they privatized. Ontario has its own privatization stories that have increased stress and expense like the 407 highway and Hamilton city water. Because of repeated problems, many municipalities are bringing energy (and other life-dependent sectors) back to public hands. Hamburg Germany residents won an energy referendum in 2013 and are in the process of bringing their energy service fully public again. The purpose behind the “Our Hamburg, Our Grid” campaign is to reclaim public authority in order to create a system based in renewables. Under a North American style trade treaty, like CETA-TTIP, this change could be difficult. Ontario announces privatization Ontario’s premier, Kathleen Wynne, recently announced her intention to sell 60% of the public’s energy shares. Last week, at the London town hall for a public Hydro One, Andrea Horwath, MPP for Hamilton and head of the Ontario NDP party, announced that this number could reach 90% or higher. The transfer of power remains regardless of the percentage, however, Horwath shared this — if Ontario ownership reaches below 10%, the legislation implies that the public will be barred from bringing it back to public control. Why privatize a successful crown corporation that has been generating funds and providing stability since 1906? The government says they will privatize Hydro One to build other public infrastructure – transit lines, roads and bridges with an anticipated 4 billion of the sales, and to pay off debt with the other anticipated 5 billion. This asset makes 300 million a year in dividend income for Ontario people. Why sell it off for small short-term gain when the return is long-term losses forever? The danger for our future is not only the loss of reliable consistent funding but also the ability to shape our energy program and monitor its integrity. The auditor general and provincial ombudsperson have warned that they will no longer be able to monitor a private Hydro One. Ontario Energy & Trade Pacts The government should not make key policy and structural changes without a public mandate. Doing this behind closed doors and legislating far into the future through trade treaties, like the Comprehensive Economic and Trade Agreement (CETA), encourages skepticism. For the first time Canadian energy entities of provincial jurisdiction, like Hydro One, and municipal jurisdiction, like Toronto Hydro, will be ruled through international treaty law. According to the CETA text, Ontario’s energy, including Hydro One, the Ontario Energy Board, and major municipal entities are not protected by Annex reservations. On the European side of CETA-TTIP, sustainable energy choices are also not protected. Europeans will lose their ability to favour cleaner energy sources or suffer the threats of ISDS lawsuits. Taking Back Power from the CETA-TTIP There are many things that work in a profit model, and many that don’t! Corporate energy systems, that put us at risk of going even higher in parts per million, is not on my list of what the generation after us should inherit. What I love about this time is the sweet significance it holds. The Great Turning is abundant with ways to make purpose of our quiet lives. It’s a time of opportunity to think about what we stand for and what we can do to make things better for those coming next. How we power this planet should not be decided by a management team of large corporations nor secretly designed in a trade deal. What you will you do with your power in the Great Turning? What part of story do you feel compelled to voice? Canadian economist Marjorie Griffin Cohen, back in the early days of new trade, in a Canadian Centre for Policy Alternatives study, says this of energy: “It is an industry that provides for human survival in a densely populated and complex world. Electricity is the basic infrastructure for every industry. The significance of who controls its generation and supply cannot be overstated.” After all, energy is an expression of our collective power as a civilization. Right now that power is being taken away. There are so many other possibilities. Let’s shine a light on them. Tags: CETA, climate change, energy, ISDS, privatization, TTIP | Permalink. The concepts of justice and discrimination are being turned upside down to favour transnational corporations. Martin Luther King Jr. would be rolling in his grave at the number of ISDS cases piling up across the globe for a corporation’s right to “justice” and “freedom from discrimination”. Another resource company wins profit rights under NAFTA – The Canadian Press reported last week that Canada has lost another case in the Investor State Dispute Settlement (ISDS) system to a US aggregate rock company, Bilcon, for its right to expand a quarry under NAFTA. The private tribunal sided against a Canadian governmental review’s decision not to enlarge an existing quarry in the southwest part of Nova Scotia. The trade court representatives stated that it was unfair for officials to encourage the quarry’s development and then decide not to go ahead. The company would be shipping 2 million tons of basalt a year to the US from Nova Scotia for the next 50 years. Bilcon is asking for $300 million in damages for loss of profits. This ruling follows a decision earlier this month when Canadians were ordered to pay $17 million to ExxonMobil and Murphy Oil for their profit rights uninterrupted by regional economic development policy in Newfoundland and Labrador. If a nation restricts profit to a foreign corporation for various reasons: the promotion of local economic development (the ExxonMobil and Murphy Oil case) or because a government review panel believes it’s environmentally risky (the Bilcon case), corporations have a legal system to overturn these decisions. Reversing the meaning of justice and discrimination – Discrimination and justice have been key teachings in raising global consciousness in the struggle for human rights. These concepts were not intended for making profits, nor to be used against citizens’ own public protection policies. The absurdity of appropriating them to protect a corporation’s profits at the expense of a community’s security leaves one speechless. Well, for a moment. Enter “expropriation”. Expropriation is a common trade rule invoked in ISDS cases. Expropriation can make it illegal for a country to diminish anticipated corporate profits if their sector was opened for access in a free trade agreement. Initially, expropriation was intended to protect the physical assets of a company from things like factory seizure. This concept used in ISDS courts is chipping away at the foundation of human rights standards. If a corporation feels they have been treated unfairly by a host country, they may call this “discrimination” and be entitled to a hearing. Through NAFTA’s resource sector openings, both ExxonMobil/Murphy Oil and Bilcon won rights beyond national or provincial decisions. There are over seventy-five known private tribunal NAFTA cases, and they are fast on the rise. Not just a Canadian problem – ISDS is not just a problem in Canada. Many nations, more vulnerable than Canada, have lost ISDS cases over their local and national policies. Some, particularly in Latin America, have lost against Canadian resource companies especially in mining. ISDS is said to be the framework for many upcoming and far-reaching agreements involving Europe, the US, Canada, and Pacific Rim nations from the TTIP to the CETA to the TPP. It’s essential to remember that the only complaint that can be prosecuted in a ISDS tribunal is the economic rights of a corporation — there is no legal mechanism to prosecute on human rights, ecological safety, or any other grounds. An exploration of NAFTA’s cases unearths future potential ISDS risks. Let’s honour the true vocabulary of justice, developed through decades of civil rights struggle, and have an adult conversation about what this version of trade could mean for the coming generations. “Law and order exist for the purpose of establishing justice and when they fail in this purpose, they become dangerously structured dams that block the flow of social justice.” Martin Luther King, Jr. Tags: CETA, discrimination, expropriation, ISDS, TTIP, TTP | Permalink.